summer wildflowers, originally uploaded by jahansell. 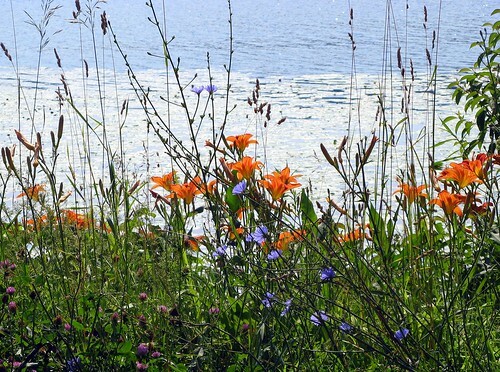 It must be July if the daylillies and cornflowers are blooming! Wow, Jenny, what a pretty picture. It has all the details I like to see in some photos. I think this is one of the best photographs I have seen today. It is very encouraging and your photography is spot on. Lovely, lovely photo you have here for the 4th of July. Thanks!